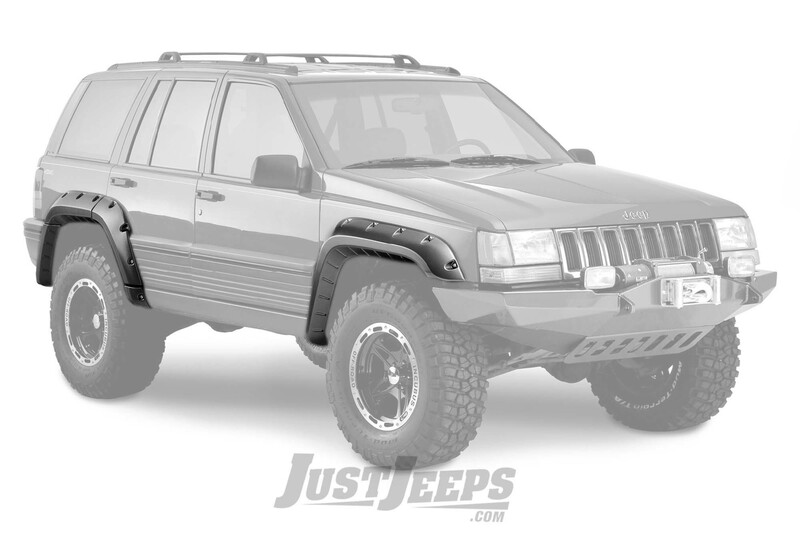 Just Jeeps Bushwacker Cut-Out Style Fender Flares For 1993-98 Jeep Grand Cherokee ZJ Models | Jeep Parts Store in Toronto, Canada. For extreme off-road use, theres nothing like Bushwacker Cut-Out Fender Flares. Each set of Cut-Out Fender Flares is individually designed for your vehicle to maximize off-road wheel travel and maintain adequate tire coverage. That custom approach means a smoother appearance, greater strength, and easier bolt-on installation. Front Tire Coverage 2 in. Rear Tire Coverage 2 in.